avec Jennifer TRASK j’ai eu l’impression d’entrer dans le domaine des elfes et des trolls, sur fond de musique de Björk ……..
Jennifer TRASK has an M.F.A. 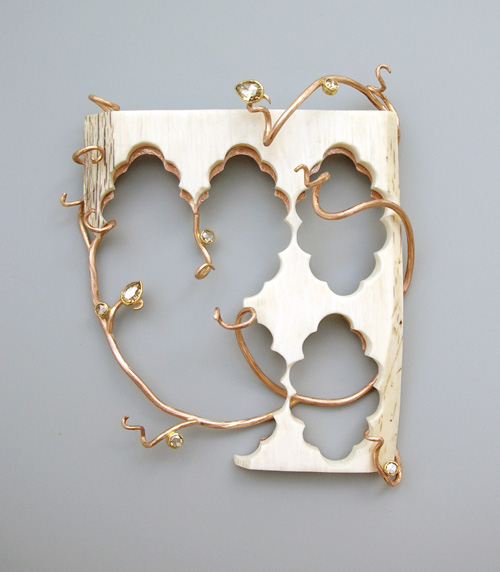 in metalsmithing from the State University of New York at New Paltz. 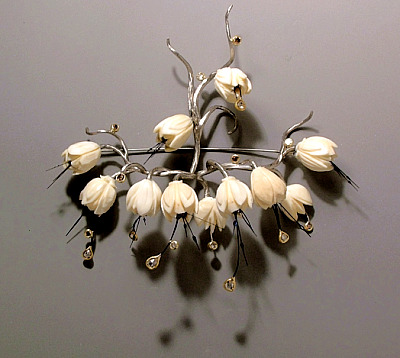 Inspired by man’s effect on nature, Trask uses salvageable materials like pre-ban ivory, antlers, gold and palladium to create fantastical botanical arrangements. Trask says her “recycled materials address the uncomfortable distance we have created from nature itself. The references are specific, biological and metaphoric…Beauty is great, but I’m more interested in getting people to look at the unusual.” Jennifer Trask will also be a speaker in the SOFA NEW YORK 2011 Lecture Series. « What inspired you to make this piece? I’ve been working on it along with the large wall installation (below) for the Dead or Alive exhibit at the Museum of Arts and Design (MAD Museum, 2010). Naturally, the work has been mingling and some of these are fragments from the larger piece. The ornament and growth are directional, circular if you look carefully at the neckpiece. The recycled materials also address the uncomfortable distance we have created from nature itself. The references are specific, biological and metaphoric. 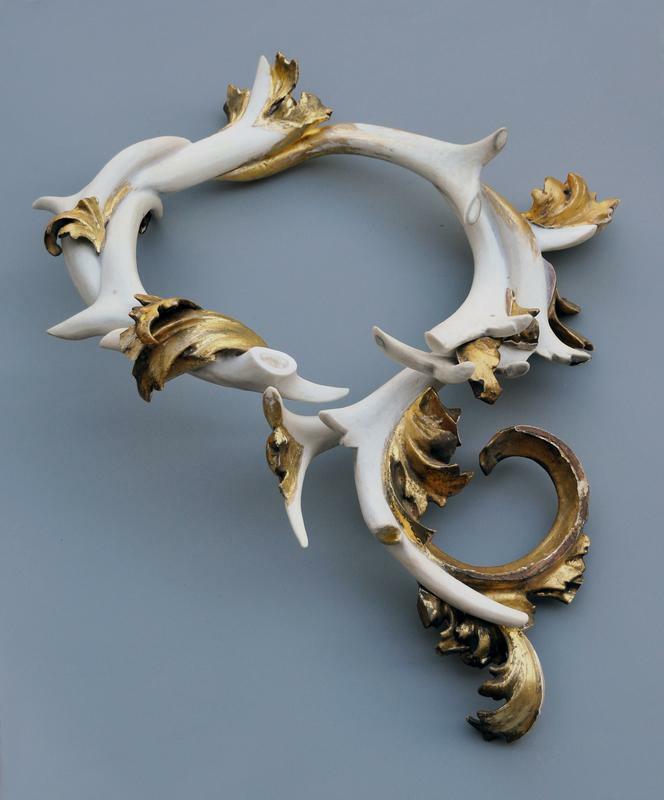 I wanted to work with something elemental and bone serves three purposes: the concept, it relates on a visceral level to the body, and is easily sourced as remnants from hunting, or as found material. Amazing, it’s really beautiful !